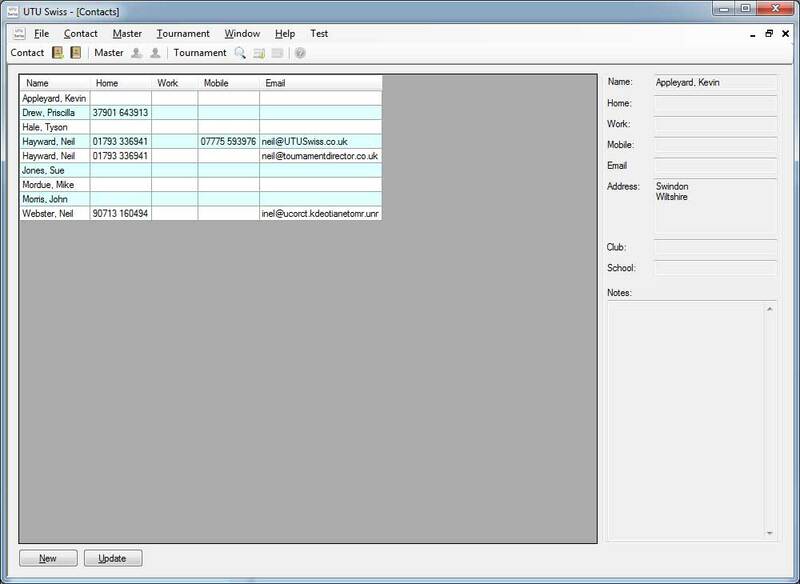 The modern and efficient way to organizer and run your chess tournaments. 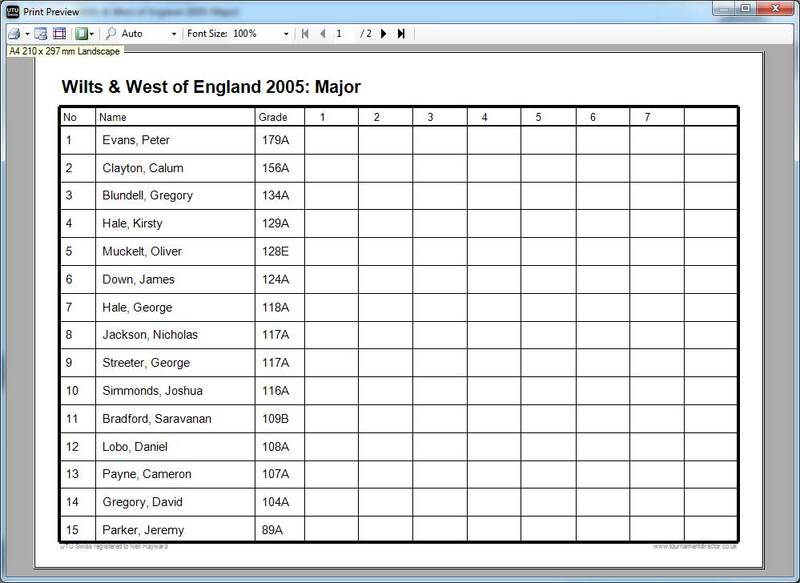 UTU Swiss is a redevelopment of the long established chess tournament organizer's software Tournament Director for Windows. 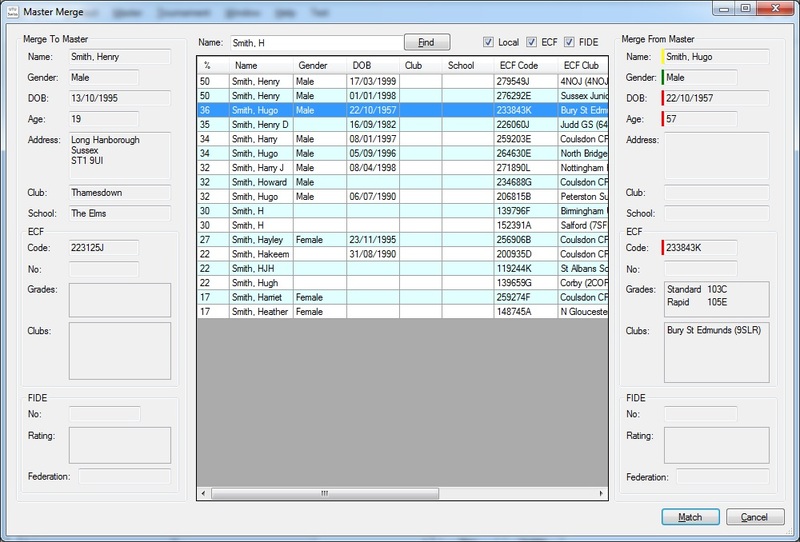 UTU Swiss has been modernized and enhanced to provide more functionality, which is easier to use, to help you run and administer your chess tournaments. Try UTU Swiss for FREE trial! 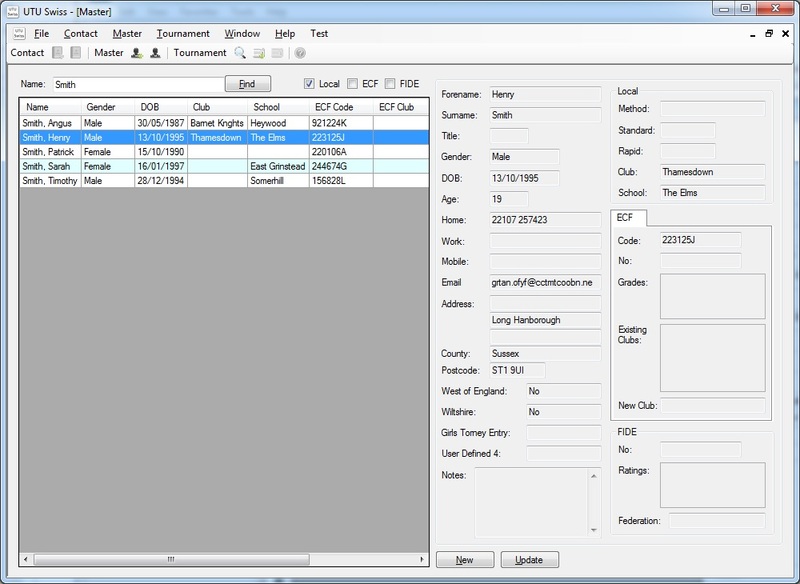 Reusable list of Local Players Full player details, including name, address, contact details as well as grading and rating details can be entered and the easily re-used in any future tournaments. 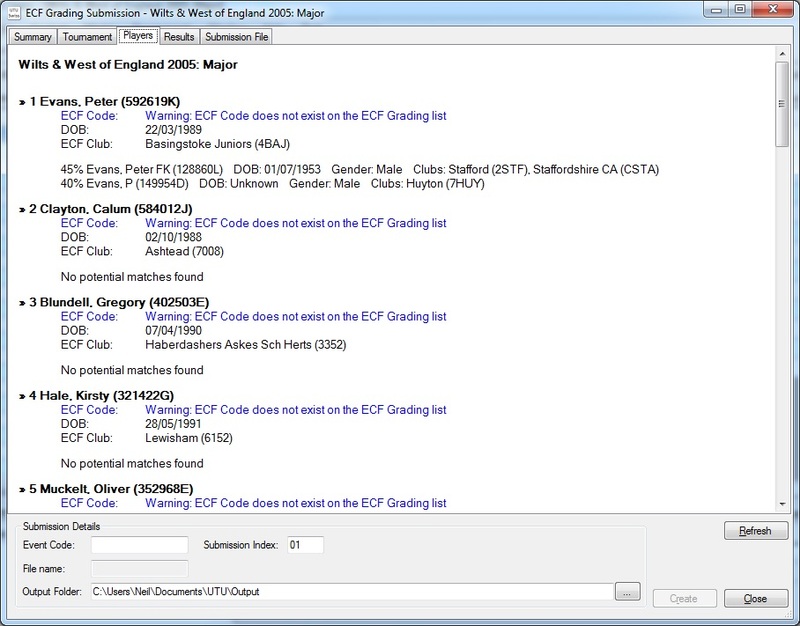 ECF Grading List ECF Grading list from the website or for the grading officer can be loaded into UTU Swiss, and the players can be added to the list of Local Players. 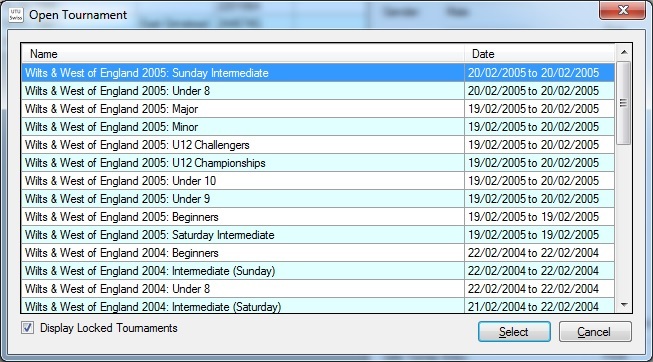 FIDE Rating List A choice of FIDE Rating lists (all, standard, rapid or blitz) from the website can be loaded into UTU Swiss, and the players can be added to the list of Local Players. Automatic Pairing Tournament using the new combined Swiss pairing rules can be created for tournament for 5 to 999 players. 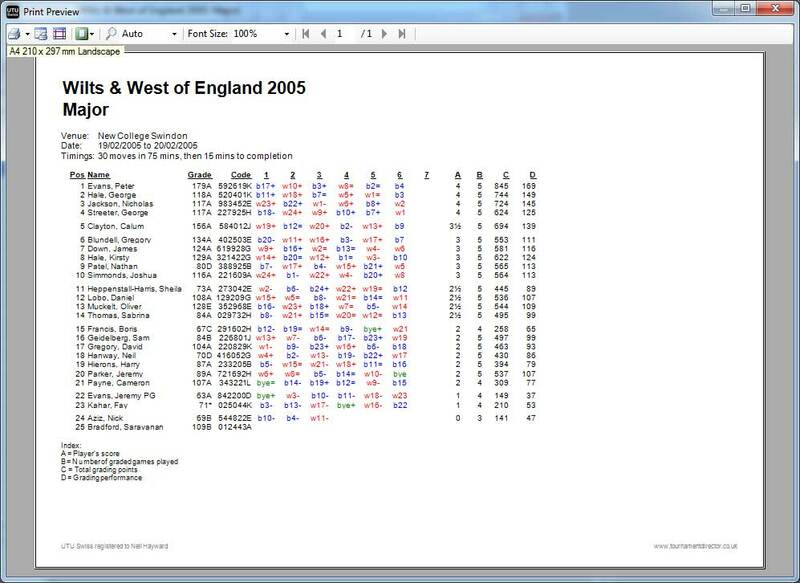 These tournaments will use the new swiss pairing rules as agreed by the English, Scottish and Welsh chess federations. It also uses the FIDE Dutch Swiss pairing system. 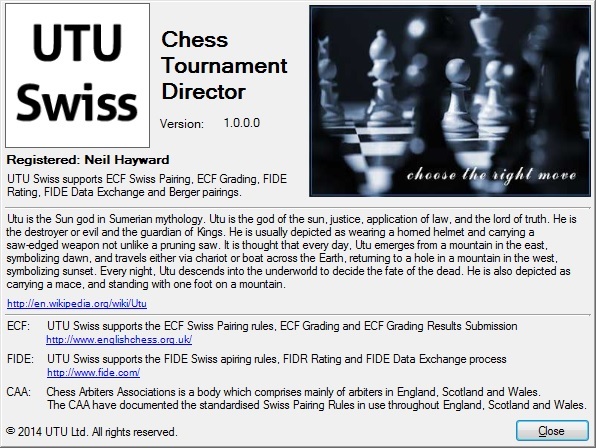 Grading Submission Results from ECF and FIDE rated tournaments can be automatically validated and submitted for ECF Grading or FIDE Rating from UTU Swiss. 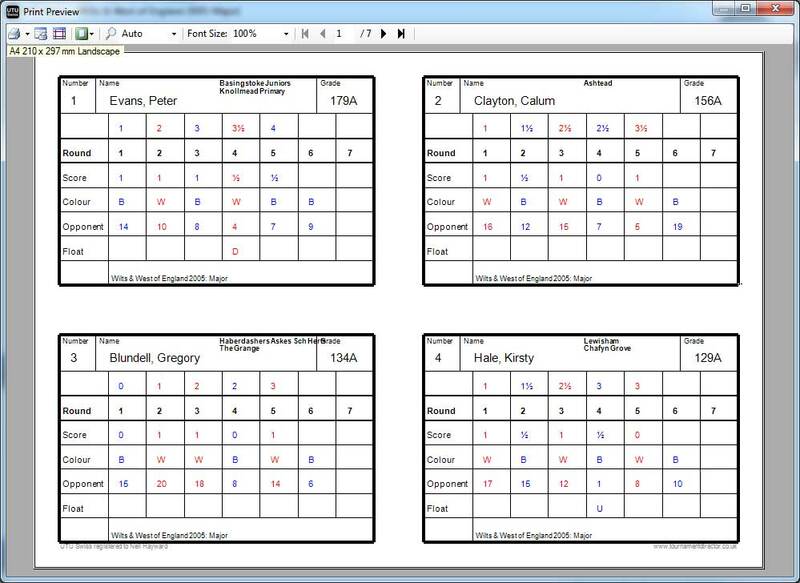 Tournament Reporting Full tournament reporting is available for all tournaments, including wall charts, pairing cards, pairing lists, result slips, cross tables, and results list. UTU Swiss is free to try. The trial version of UTU Swiss only has two restrictions. 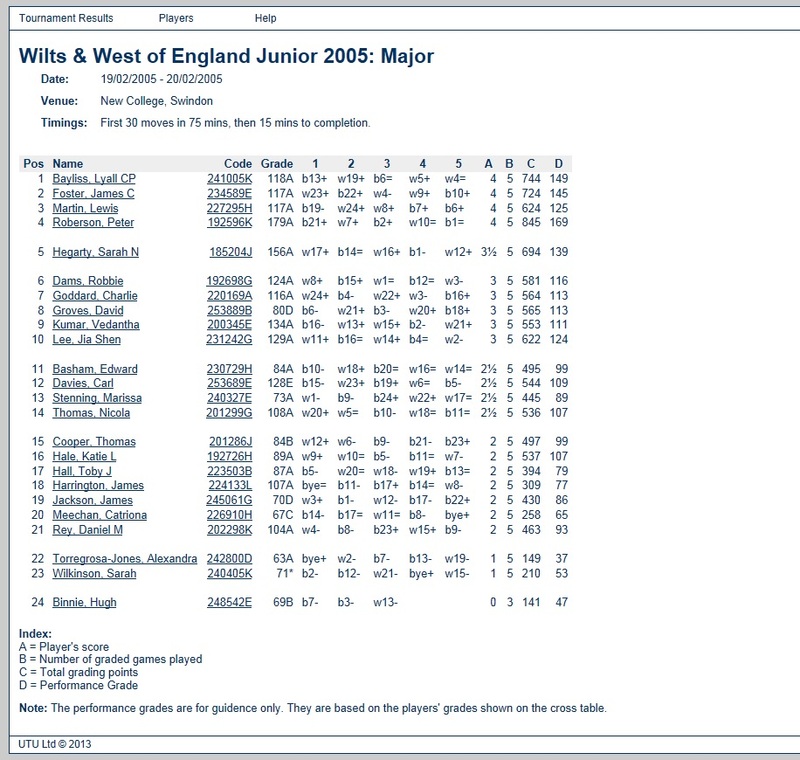 A tournament may contain a maximum of 16 players. All other areas of UTU Swiss are fully functional. To remove these limitation you must buy UTU Swiss.